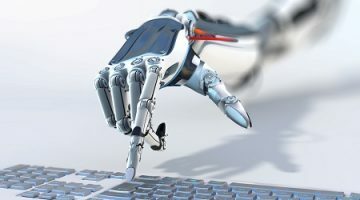 As digital financial advice gains ever-growing traction among superannuation providers, the hype around “robo-advice” gives way to enterprise-level requirements. Decimal Software CEO Nic Pollock says B2C wealth management and enterprise-grade digital financial advice serve very different needs, and customers. Federal Treasurer Scott Morrison recently told a G20 conference in Germany of his plans to encourage more robo-adviser start-ups to launch in Australia. Undoubtedly he believed doing so would enhance opportunities for more Australians to gain access to financial advice and in turn provide better financial security and retirement outcomes. But his comments highlight a general lack of understanding of the differences between “robo-advisers” and the digital advice needs of the majority of Australians. Foremost is the fact that “robo-advisers” are direct-to-consumer offerings and not designed to aid financial services organisations. In fact, they aim to disrupt by taking customers away from their existing providers. In other words, robo-adviser start-ups present a direct challenge to established traditional brands and adviser roles. There is nothing inherently wrong with this. Indeed using the internet for more efficient delivery to market, in this instance financial products, is another example of the pervasiveness of the digital transformation we all continue to experience. However this leads to a common misunderstanding that pure B2C robo-advice start-ups address the everyday person, they don’t. In fact, we estimate they will only represent 5 per cent of the market. It is broadly accepted that 15 per cent of the Australian population utilises traditional financial advisers (about 2.4 million people currently see planners according to Investment Trends— and typically that is the wealthiest 15 per cent of the population seeking to enhance investment opportunities. The fact is robo-advisers are geared towards people making non-super investments. Ordinary working Australians – the other 85 per cent of the market – are accumulating wealth into superannuation and their homes. Advising the remaining 80 per cent of the population is what the banks and super funds are striving for.